Mr. 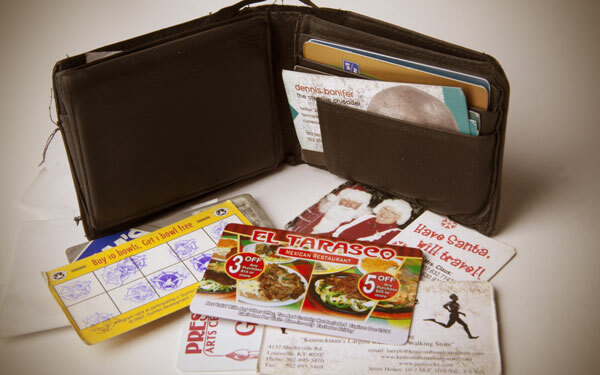 Fat Wallet…who do you think you are? Home / Technology / Mr. Fat Wallet…who do you think you are? Hello, my name is Dennis and I have a fat wallet addiction. My collection of frequent diner cards, appointment cards, receipts, scraps of paper containing ideas that seemed too valuable to toss, a credit card or two, security pass card, business cards (some mine, some of others) and yes, occasionally a dollar bill or two. No matter how hard I try I can’t seem to slim things down. 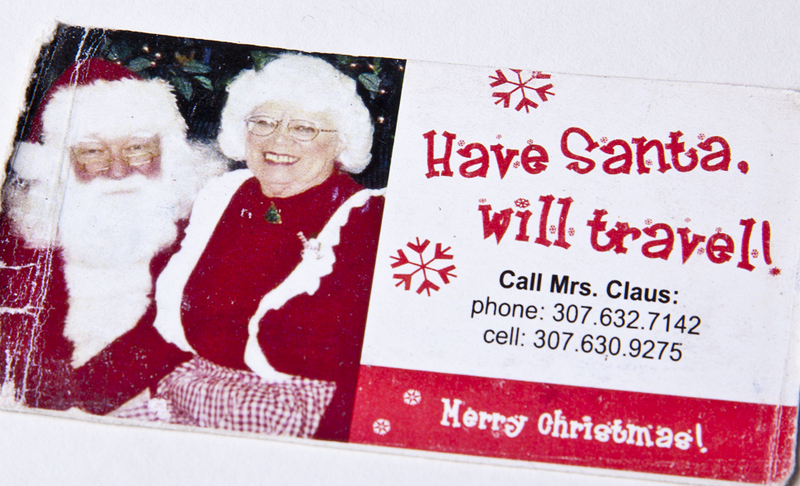 Seriously you never know when I might actually need to contact “Have Santa Will Travel.” Thanks to my wallet, I have both his home & cell number – from when I met him at a cousin’s wedding in Colorado years ago. I kid you not. However, thanks to NFC technology my addiction may finally be coming to an end. NFC – short for Near Field Communication, is the latest technology to be embraced by US banks & smart phone manufacturers – even Apple. After installing a chip in your phone (until they are already embedded in future models) & downloading the appropriate app, users will simply wave their smart phone within a couple of centimeters of a cash register & viola, transaction paid for. The chip & app will link to your bank account, access the funds and transfer them to the retailer for the purchase. They are touted to be safer and more secure than the PayWave type cards that use possibly less secure RFID chips. Trials have begun in NYC with taxi cabs and some retailers in some west coast markets and the reviews have been good. Ironically as a guy who almost never carries cash, I look forward to the technology. Although I will have to admit, I may shed a tear the day I leave my beloved batboy wallet behind.